Typical Greek restaurant where you can eat good Greek foods. Owners and staff very kindly and professional. I suggest this restaurant to everyone. The best place in teltow!!!! Nice place with very very tasty food!!!!!! !greek special food!!! !very kind staff!!!! 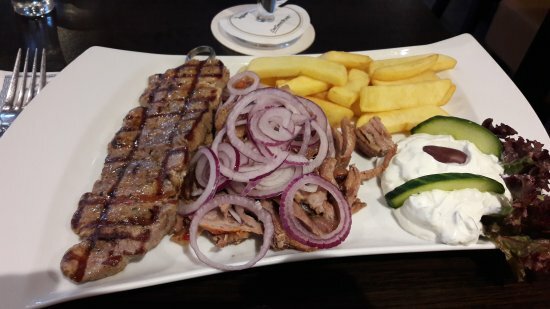 !the best choice if you go to teltow!!!!!! Great ambience, very good food, freebie "shots", ideal for families, good value for money, what more can you ask for? Get quick answers from Griech. Restaurant Athos staff and past visitors.